Industry experts estimate that 10% to 30% of the electricity consumed by industrial facilities is used in compressed air systems. Further, 80% of the cost of a new compressed air system over a 5-year life cycle is energy-related. These costs can easily amount to tens of thousands – even hundreds of thousands – of wasted capital annually. How would you like to be the person at your facility credited for reducing those energy expenses by as much as 40%? Better yet, how would you like to be the person credited with reducing energy costs AND reducing downtime by increasing the service life of existing compressed air equipment? You might be surprised to learn that only about 50% of compressed air is appropriately used by the system. Auditing and modifying compressed air systems to increase efficiency can result in a 20% to 40% decrease in compressed-air electricity costs. Savings generated through recouped energy costs can fund future system improvements, training programs or equipment acquisitions. 1. First, establish an accurate baseline of your system’s compressed air demand requirements and analyze how the air supply responds to meet the demand. Compressors operating at full-load are more efficient than compressors running at part-load. A compressed air specialist can help you understand the system’s authentic demand requirements by auditing the system. 2. Take a close look at end-use applications for inefficiencies. An estimated 5% to 10% of compressed air is wasted through end uses, which yield many pressure fluctuations. Review pressure level requirements for all tools to ensure the appropriate pressure level is being applied. Those pressure level requirements determine the overall system pressure level. 4. Eliminate compressed air leaks within the system. Leaks can waste 20%-30% of a compressor’s output. An ultrasonic acoustic detector or soapy water can identify leaks in compressed air systems. Identify the largest leaks and repair those first. 5. Establish a new compressed air control and storage strategy, or adjust existing controls, to match the actual needs of the system. Compressed air storage allows the system to meet peak demand requirements without starting additional compressors. Controls reduce lost air volume and optimize compressed air usage. 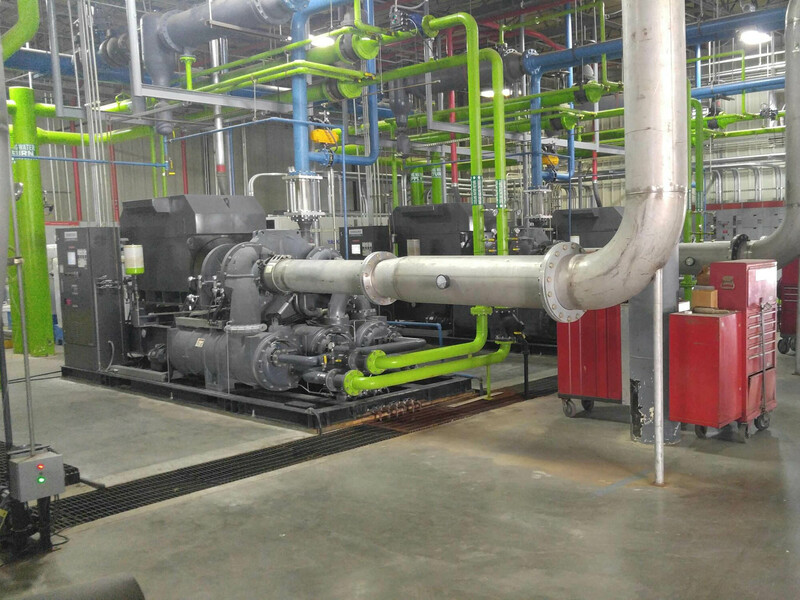 Although compressors used in a compressed air system are essential to the process, they are rarely the reason for inefficiencies. More often it is user error, improper configuration or unidentified wasted air within the system. That is why a systematic evaluation of the ENTIRE compressed air system is essential to achieving energy-cost savings. Compressed air system auditors have extensive training in – and experience with – the entire compressed air system, not just the compressor. Consulting with a Fluid Flow compressed air expert could mean the difference between a fully-optimized compressed air system and one that continues to drive expenses. Contact us today to start reducing energy costs in your compressed air systems.